It is the last day of 5 days of foundation! Today I am reviewing the Bioderma Photoderm BB Cream ($36.99). 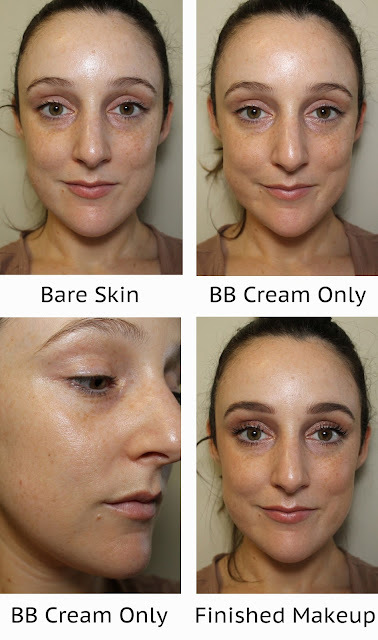 I have reviewed a few true foundations this week and I thought it might be nice to end on a lighter BB cream option. The formula of this one is very water based so it is a thin, lightweight BB cream that feels weightless on the skin. It claims to unify the complexion, moisturise and protect you from the sun, all it one easy step. I would mostly agree with all of those claims. I didn't find it particularly moisturising, but it also didn't dry me out so it would be very comfortable for continued daily use. I was also really impressed that it offered such a high sun protection (SPF 50+) without feeling or smelling like a sunscreen. Do remember though that you should still probably use a separate sunscreen because you actually have to apply a lot of this product to get the 50+ protection, but it makes for great added sun protection. I still always use my Mecca To Save Face Superscreen SPF 50+ ($40), even when I am using a base with an SPF. As for the coverage, I would say it offers a light coverage that definitely does unify the skin tone. 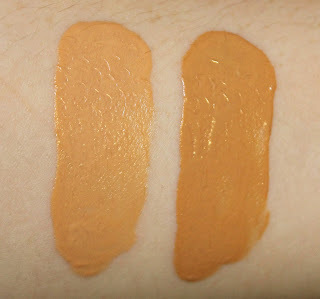 It offers the lightest coverage of any of the foundations I reviewed this week but still noticeably evens things out. I can really tell because I fake tan my body, but not my face, which leaves it really pale. This did a perfect job of making my face match my neck and body so it does definitely have some noticeable coverage. Really weirdly, the flashback isn't really noticeable with this BB cream at all. I found that really surprising since it has such a high SPF. The application is also really quick and easy with this BB cream. It applies well with fingers, a brush or a Beauty Blender. It really is pretty fuss free because it is a really easy to work with water based formula, which makes it great for rushed mornings and everyday wear. I found it left me with a very even, slightly dewy finish that made my skin look even and glowy. I was actually pleasantly surprised by the longevity too. Again, because I have a paler face because of my fake tan, it is really easy to see where my base has worn off. Even after 8 hours, it was still really even. Any wearing off would have been easy to see since my face is paler and I couldn't notice any. As you can see from the wear photo, it actually still looks really nice. The only real downside is the shade range: there are only two shades! That said, at least they are pretty far apart to accommodate more people, instead of picking multiple almost identical medium shades like so many brands do. It comes in Light and Golden. Also, because it is only a light coverage, you can get away with it being a bit further away from your actual skin tone than you could with a foundation that had more coverage. Left to right: Light and Golden. 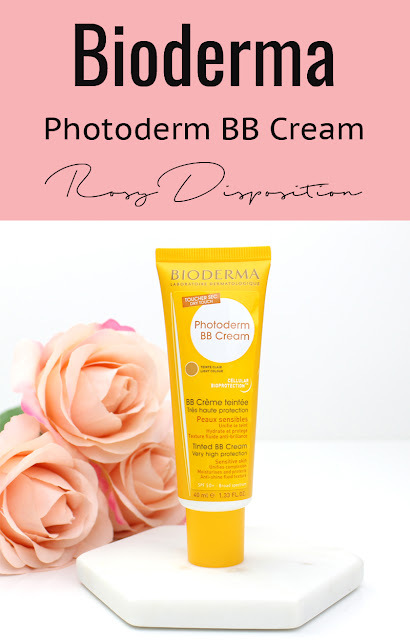 All in all, I really like this BB cream and I can see myself using it a lot over summer as a very light, everyday base, especially because of the high SPF. You simply need to protect your skin, especially you live in Australia (Queensland particularly!) so I think it is a great option]. It is slightly pricier than drugstore BB cream but I also found it to be a lot nicer because I haven't really liked any I've tried from the drugstore. 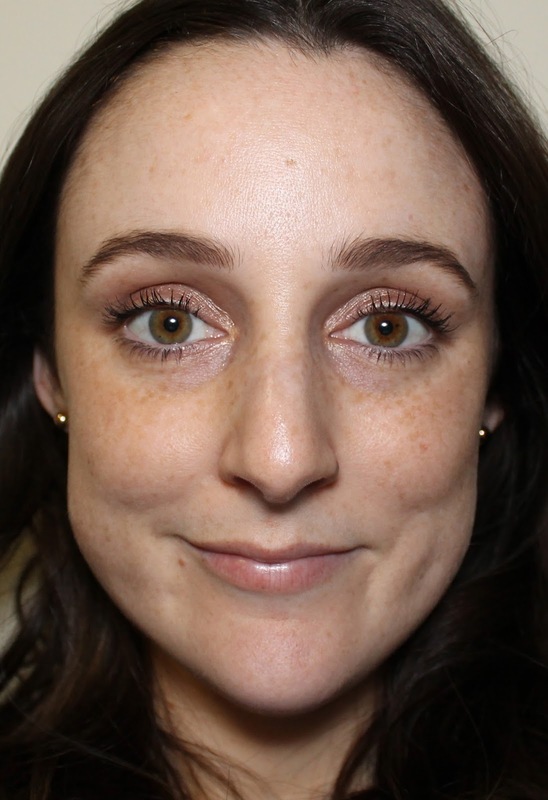 I did really like the L'Oreal Glam Beige I reviewed earlier in the week, but that is technically a foundation that has more coverage and not as many skin benefits. Also remember that you can get it from Adore Beauty with free shipping and AfterPay, but it should be stocked in Priceline by now too, even if it isn't on their website. Will you be picking this one up to try after reading this review? Do you have another lightweight favourite summer base that you think I should try? Let me know in the comments below! Disclaimer: I received this product as a PR gift without any obligation to write a review or say nice things. As always, my opinions are my own. 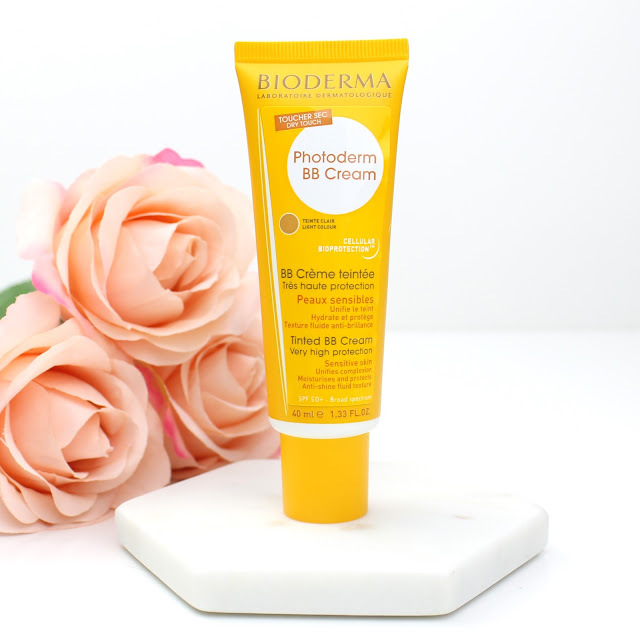 13 comments on "5 Days of Foundation: Bioderma Photoderm BB Cream"
It looks so natural and glowy! I am a little worried about the shades, I am not sure that they would really suit me! Yeah the shades are definitely the one downside. This looks really good! It makes me really happy to see products with a higher SPF - I feel like if its only 10 they may as well not even bother, especially with the sun in Perth! Yeah I am definitely a big fan of higher SPF since I live in Queensland. Eeek those shades wouldn't do me justice! Such a shame because it sounds like a product I would use. I currently use the NARS hydrating glow tint but looking for a cheaper option. 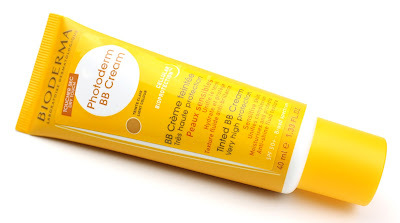 I love wearing BB creams especially on the weekend! I'll have to give this one a go! This sounds so good, I love the and glow and look of it on you. I love bb creams, I prefer light weight bb creams and this sounds like something I will check.